Barcode Label Maker - Professional Edition software creates linear or 2D barcode labels and tags. Barcode Maker software has ability to make barcode stickers in different shapes such as rectangle, ellipse and rounded rectangle shapes as per your need. Barcode Creator tool generates multiple numbers of barcodes images using barcode batch process. Software supports linear or 2D barcode standards. Software provides Text, Line, Pictures and other designing objects to create attractive barcodes labels. Barcode Maker Tool allows you to save designed barcode images in JPEG, TIFF, Bitmap, PNG, WMF, EMF, EXIF and GIF formats. 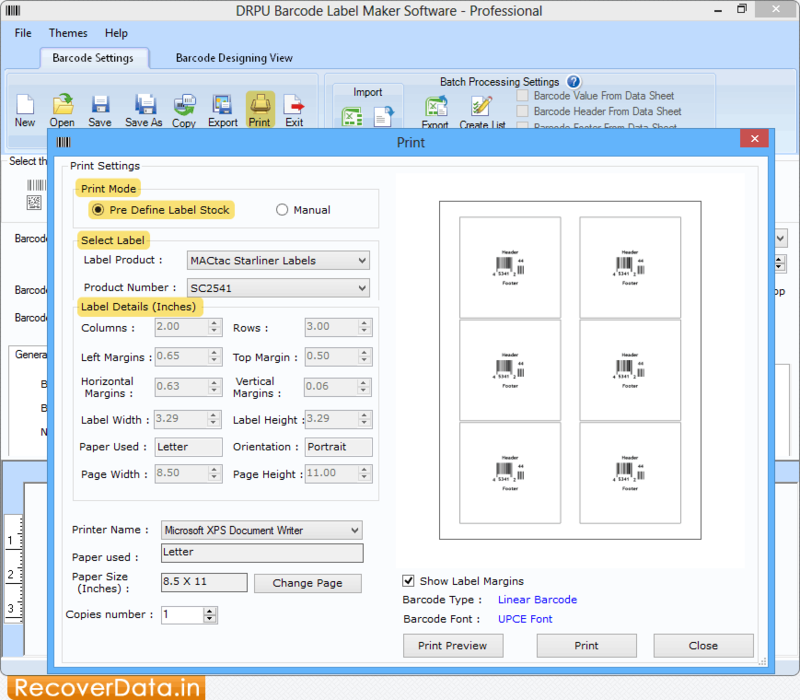 Barcode Generator program provides printing settings to print designed barcode images.